St. Charles Chamber of Commerce issued the following announcement on Sept. 28. September 7th at 10:00am at The PRIDE of St. Charles located at 1505 Lincoln Highway, St. Charles, IL 60174; the PRIDE Stores will launch the newly created red Folds of Honor coffee sleeve (see image below) where every cup sold where the proceeds will benefit our military families. Enjoy a FREE COFFEE at the PRIDE of St Charles and FREE ESSPRESSO drinks at Urban Counter St. Charles to celebrate our partnership with Folds of Honor. Former Navy SEAL and Folds of Honor supporter, Darren McBurnett, will be speaking. As a SEAL platoon leader and senior enlisted advisor, he has deployed multiple times into combat zones in four theaters of war along with his participation in Operation Iraq Freedom, Operation Enduring Freedom, Kosovo crisis, Liberia, and Operation Inherent Resolve. His 24-year career as a United States Navy SEAL, McBurnett has operated with multiple SEAL teams to include SEAL Team Two, SEAL Team Four, SEAL Team Eight, SEAL Team One, SEAL Team Three, and has created war fighting curriculum for Advanced SEAL Tactical. McBurnett has received over 40 individual, unit and campaign honors throughout his extensive career. 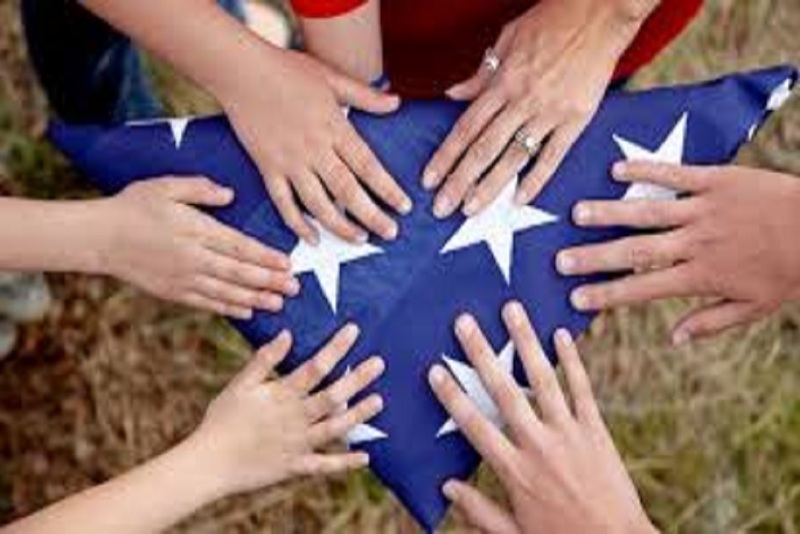 Folds of Honor is a 501(C)3 nonprofit organization that provides educational scholarships to families of military men and women who have fallen or been disabled while on active duty in the United States armed forces. Folds of Honor educational scholarships support private education tuition and tutoring for children in grades K-12, as well as higher education tuition assistance for spouses and dependents. Founded in 2007 by Major Dan Rooney, an F-16 fighter pilot in the Oklahoma Air National Guard who served three tours of duty in Iraq, Folds of Honor is proud to have awarded more than 16,000 scholarships in all 50 states, as well as Guam, Puerto Rico and the Virgin Islands, including more than 3,500 in 2017 alone. For more information or to donate in support of a Folds of Honor scholarship, visit http://www.foldsofhonor.org. Want to get notified whenever we write about St. Charles Chamber of Commerce ? Next time we write about St. Charles Chamber of Commerce, we'll email you a link to the story. You may edit your settings or unsubscribe at any time.